There will be a special live event on April 5th with live X-ray cutting from a local musician. We are very pleased to be taking the x-ray audio exhibition to Japan. We will be talking, broadcasting and making x-ray records with three special musical guest at the RADIOPHRENIA festival. In conjunction with the Imperial War Museum, we will be talking, broadcasting and making x-ray records with various special musical guests at the WOMAD festival. We will be talking, broadcasting and making x-ray records with various special musical guests at the museum in conjunction with the REBEL SOUNDS programme. Join us and sonic innovator Thurston Moore for a unique evening celebrating rebel sounds, bootleg technology and cold war culture in film, words, and music cut live with vintage recording devices. On January 16th 2019, we will be at the ACE Hotel in Shoreditch for a special Super Collider live event with one of rock music’s most original and influential artists who will be playing live as we cut his music to make x-ray records. The Horse Hospital, is the last bastion of underground culture in central London and amazingly is 25 years old this year. 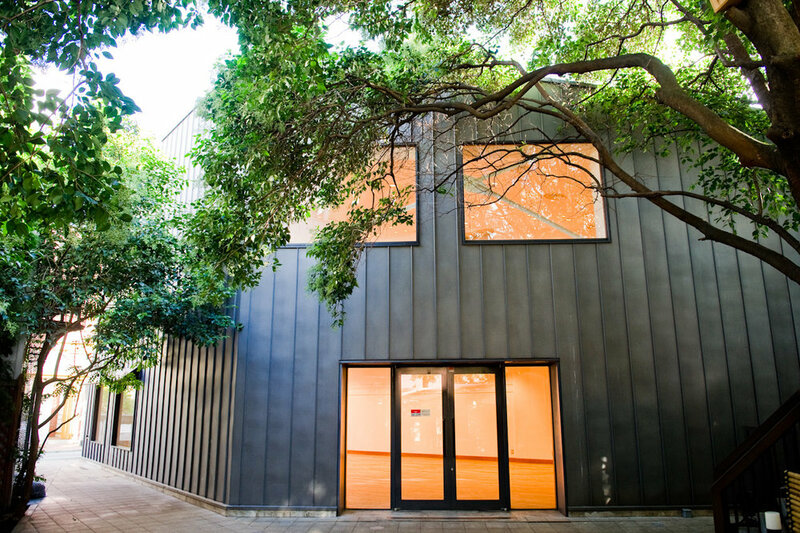 It is also where the x-ray audio project first began to exhibit and hold live events and we returning there to celebrate with an evening of x-ray cutting and some very, very special guests. Stephen Coates will be telling the story of the Soviet X-Ray bootleggers together with his latest research into the x-ray culture of Hungary in the 1930s - 1950s. There will be special appearance by Hungarian Indie star Veronica Harcsa who we will be recording live to create a new x-ray record. We have been commissioned to make a residency at SOHO RADIO in London. We will be making the station's treet frontage into a temporary 'Soviet Bootleggers Room' for the duration. Now rendered virtually obsolete in the age of the internet, illegal records occupy a fascinating niche in audio history. Stephen Coates, musician and co-curator of the X-Ray Audio project, relates a whirlwind history of bootleg, pirate and counterfeit audio drawn from research into the Soviet Cold war x-ray records, Eastern bloc samizdat recordings and a surprising trove in the British Library itself. Join us at THE BRITISH LIBRARY on February 9th to hear the incredible story of the cold war Russian bootleggers who risked imprisonment to make extraordinary records of the forbidden music they secretly loved. And we are very pleased to announce we will be joined for a one-off and very rare musical performance by underground maverick genius BARRY ADAMSON which will be cut directly to one of his own x-rays on our 1950s recording lathe and played straight back. 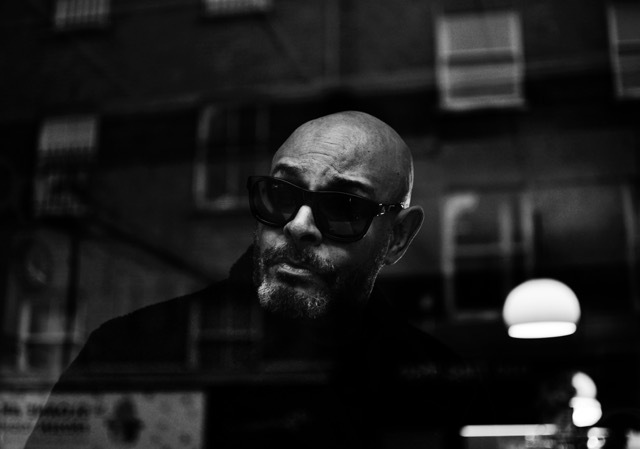 BARRY ADAMSON is a multi-disciplinary artist who rose to prominence as the bass player in Magazine and Nick Cave and the Bad Seeds. His critically acclaimed solo work has seen him work with some of the film industry’s most intriguing mavericks including Derek Jarman,David Lynch, Oliver Stone and Danny Boyle. Having released nine studio albums, including the 1992 Mercury Music Prize nominated ‘Soul Murder’, he has composed music for TV series, adverts, computer games and an Olivier Award winning ballet performance. .
"Unofficial histories, suppressed memories and strategies of resistance all converge in our new major group exhibition, which seeks to redress the legacy of the Russian Revolution on its centenary by exploring how contemporary artists are responding to the state of the ‘New East’ today. Rather than a nostalgic look at the past, new commissions and existing works re-activate and repurpose key emblems and stories of this past – from the avant-garde and revolution to the collapse of the Communist system and ideology – addressing key questions around the concept of The Return of Memory, curated by Anya Harrison, Sarah Perks and Olya Sova." The exhibition draws out the hidden accidental aesthetic of disposable street culture objects and raises them to the level of high-cultural artefacts. It evokes the era and circumstances in which they were created and tells a unique story in which music, forbidden culture, recycling, cold war politics and human endeavour intersect through original artefacts, projections, film and sound. The exhibition will be accompanied by live events including round-table discussions on forbidden culture, a film program and a live event where X-Ray Audio demonstrate the process of cutting music to x-ray from live musical performances (as recently performed with musicians Marcella Puppini, Russian theremin player Lydia Kavina and Marc Almond. Join musician Stephen Coates and photographer Paul Heartfield of the X-Ray Audio Project at London's PUSHKIN HOUSE in a special evening ahead of the opening of their exhibition Bone Music at Garage Museum of Contemporary Art in Moscow. They will be joined by a very special music guest. Stephen will tell the astonishing and haunting story of the Soviet bootleggers with words, images and film followed by a demonstration of the incredible art of cutting music to an x-ray from a special live performance using a 1950s recording lathe. Very special music guest to be announced. "Stephen Coates tells the incredible story of soviet bootleggers who cut forbidden music onto used X-ray plates during the Cold War. Sound artist Aleks Kolkowski cuts a fresh X-ray bootleg live." The screening on 21st January will be accompanied by a live event with Q+A and live x-ray cutting from a very special musical performance by a guest star performer. Stephen Coates wil be discussing the cold war Soviet X-Ray bootleggers at the Institute of Contemporary Arts in London on November 12th as part of an event of forbidden culture. "Between 1984-89 in the apartments of tower blocks in Bucharest, capital of a sequestered communist Romania, thousands of pirated videocassettes of forbidden films from the West were screened illegally. The disorientating foreignness of these technicoloured, ideology-busting films were tempered by the voice of Irina Margareta Nistor, who frequently skirted exposure and arrest by Nicolae Ceausescu's dreaded Securitate whilst defiantly translating and dubbing the films into Romanian. In this unique event, Nistor joins curator/serial digressionist David Ellis for audio-visual essays and a discussion of forbidden culture, incorporating the screening of original VHS material, illustrative slides, plus 'live' dubbing and a Q&A in a homage to this lesser-known heroine of cinema." Stephen Coates will be telling the story of the Soviet bootleggers and their x-ray records at this year's Electro-Magnetic Field festival in Guildford. We wil be at the Krake Festival in Berlin on July 27th. Stephen Coates will be telling the history of the Soviet x-ray records and Aleks Kolkowski will make a live demonstration of x-ray cutting with a very special locally based musician. More on who that will be and details soon. The X-Ray Audio exhibition of original bone bootlegs and associated film and images will be at the Millennium Court Arts Centre in Portadown from April 16th - May 28th as part of the 'WHY IS IT ALWAYS DECEMBER?" show. Our next live event will be London's biggest and best independent record store Rough Trade East in Brick Lane on March 9th. And we are even more pleased that we will be joined by legendary torch singer Marc Almond. In the first half Stephen Coates will tell the story of the Soviet bone bootleggers and their x-ray recordings and in the second, Marc will perform two songs which will be recorded direct to x-ray by Aleks Kolowski. The event is free on a first come first served basis but you can guarantee entry by reserving a copy of our book 'X-Ray Audio: The Strange Story of Soviet Music on the Bone'. As part of the X-Ray Audio exhibition at London's The Horse Hospital, DJ Food presents highlights from his collection of flexi discs in conversation with Stephen Coates, playing selections and telling the stories behind them. For the past year Strictly Kev has been posting weekly entries on his website - djfood.org - from his flexi disc collection. Dubbed the ‘Flexibition’ it is a growing archive of the weird and wonderful music and speech that was committed to perhaps the most disposable physical format ever to carry sound. X-Ray Audio's Stephen Coates will be quizzing Kev about his collection and taking questions from the audience. The exhibition will preview with the premier of the X-Ray Audio documentary made with Vinyl Factory featuring interviews with Russian bone bootleggers and buyers, archive footage and various commentators. Aleks Kolkowski and Stephen Coates will present The X-Ray Audio Project live with a talk on the Soviet Bone bootleggers and a demonstration of x-ray lathe cutting from a live performance.